Yarra Plenty Regional Library is proud to participate in Fun Palaces 2018. On Saturday 6 October all library branches will transform into Fun Palaces from 10.00am to 1.00pm. Drop by to make, learn and explore! Fun Palaces celebrate the unique skills and passions of local people – run by, for and with the local community. Activities bring art, science, craft, tech, digital, heritage and sports – but above all PEOPLE – together, to CREATE, have FUN and build communities from the grassroots up! 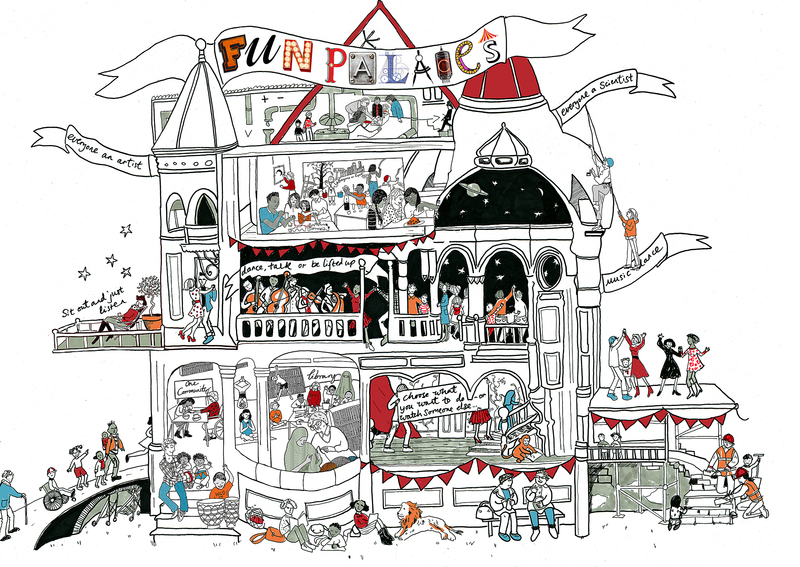 Want to know what's happening at our Fun Palaces? Click here to see what's on at your local library, and find it on Facebook here. YPRL's Fun Palaces 2018 offer arts, crafts, science, technology, heritage and sports activities led by local people, for local people of all ages. Explore astronomy and the Science Discovery Dome, experience a traditional Aboriginal smoking ceremony, tinker with technology, discover local history, get out in the garden, share stories, play chess, meet a range of community groups, participate in arts, dance and music workshops, design, create or build new projects AND so much more! Since 2014 a total of 934 Fun Palaces across the world have been made by 24,000 people with 340,000 taking part. This year will be the fifth Fun Palace weekend. Be inspired, learn something new and check out some of the great STEAM (Science, Technology, Engineering, Arts and Mathematics) items available at your local library.